At Coopersridge, we believe that horse and rider are a team. We offer individually tailored training programs to help you meet your goals as an owner and/ or as a rider. We offer private and semi-private lessons for our boarders with certified judge and steward, Derrick Moran. 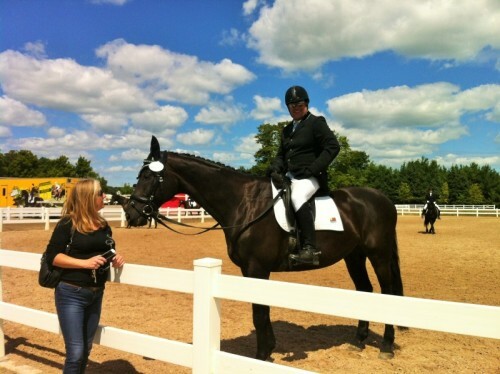 Derrick has experience showing, training and coaching in dressage, eventing and hunter/ jumper disciplines. Derrick formulates all of his lessons to help you progress as a rider and get the most out of your horse. A variety of training and exercise strategies help you and your horse to learn new skills and develop muscles for a well-rounded team. Our programs can include trailering and coaching support at shows. Whether it is a horse that needs to learn the basics, is gaining new skills or has behavioural tics that need smoothing, we provide and deliver training programs that enhance their capabilities. Goals are discussed and agreed upon with you as the owner, and a training program is designed for each horse’s individual needs and concerns. Coopersridge offers boarding packages that can include riding lessons for you and/ or training for your horse with exclusive savings! For more information on details and pricing, please contact us.